The course will cover main concepts in P1 Hanyu Pinyin syllables and vocabulary (such as common words) to build your child’s Chinese foundation. 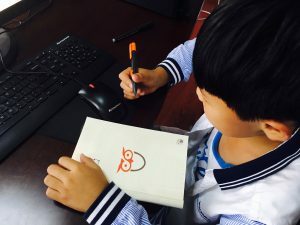 It’s taught in real-time by our dedicated native Chinese tutors over video conferencing, so your child can learn comfortably from home. Fun activities such as storytelling 🙌, rhymes, and songs. This allows us to group your child with other children of the same Chinese standard, and everyone gets to speak up and ask questions. We’re not here to stress out your K2 child. We work to inspire and build confidence, so your child enjoys speaking and writing Chinese in their Primary school years. Your child can learn from the comforts of their home, making it less intimidating. There’s no traveling, leaving your little one with more playtime. I consent to Connected Learning Pte Ltd contacting me for matters relating to the Course at the contact details given in this form.